Skellig – Year 6 English Topic. 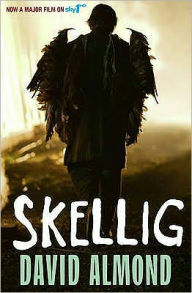 Year 6 have been learning about a new book called Skellig! Have you listened to your child telling you about their day at school? Telling you about their new topic in English? If not then here is some information about their newly favourite topic. Have you got any idea about the book? This book has been Year 6’s favourite because it is so mysterious (and confusing in some points). Most of the story is related to real life. Year 6 will be continuing this topic to find out more about the book. They have written pieces of work around this topic already. Hopefully at the end, we will complete another piece of writing based on what we have discovered through the book, but that will be even better and will have more detail! If you want to have a read yourself, get the book out of the library! Leave a comment below to say what you think of the book so far! Author digitalleader2017Posted on May 22, 2017 Categories Year 6Tags Books, FindingOut, Learning, Reading, WritingLeave a comment on Skellig – Year 6 English Topic. Year 4 Wizard of Oz! Wow! The children in Year 4 have been working so hard since returning to school after half term. What an improvement in effort and determination to reach their full potential! Author digitalleader2017Posted on March 10, 2017 March 10, 2017 Categories Year 4Tags Books, English, Learning, Writing2 Comments on Year 4 Wizard of Oz!